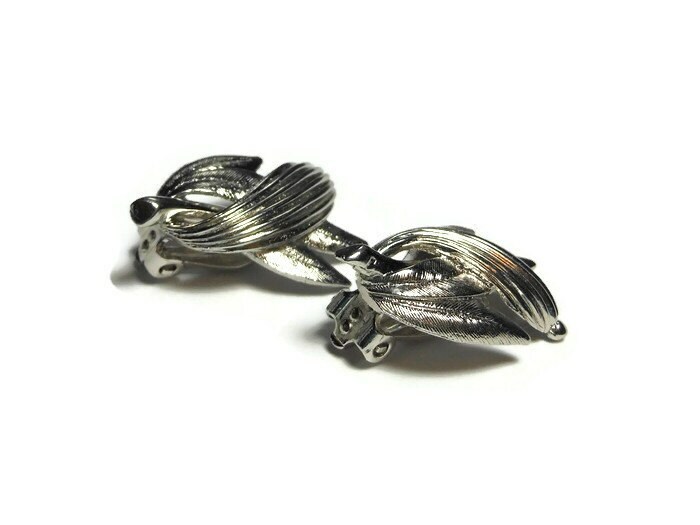 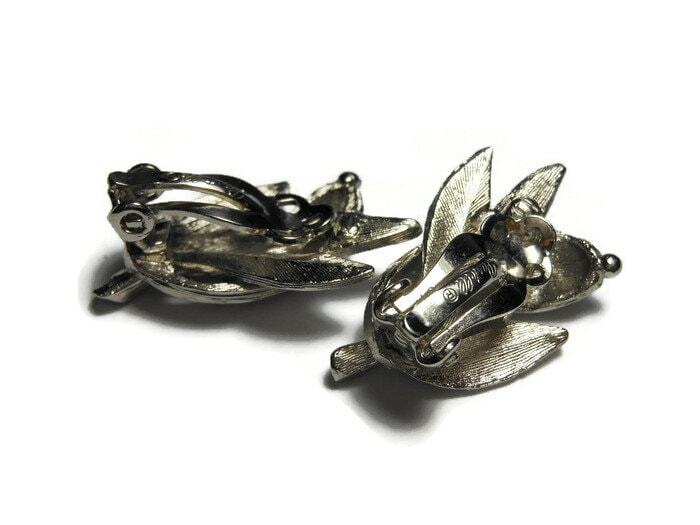 Pastelli clip earrings, signed Pastelli, silver leaves clip earrings, Pastelli was a line for Royal of Pittsburgh, a high end line. 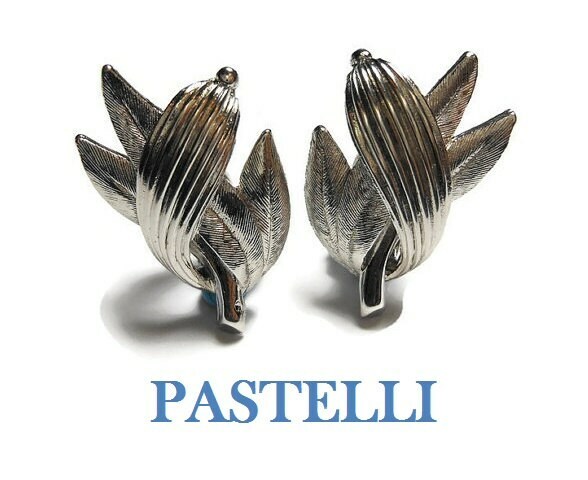 Pastelli is a line used by Royal of Pittsburgh, then carried by Kaufmann's which is currently Macy's, in business from the 1950s to the 1980s. 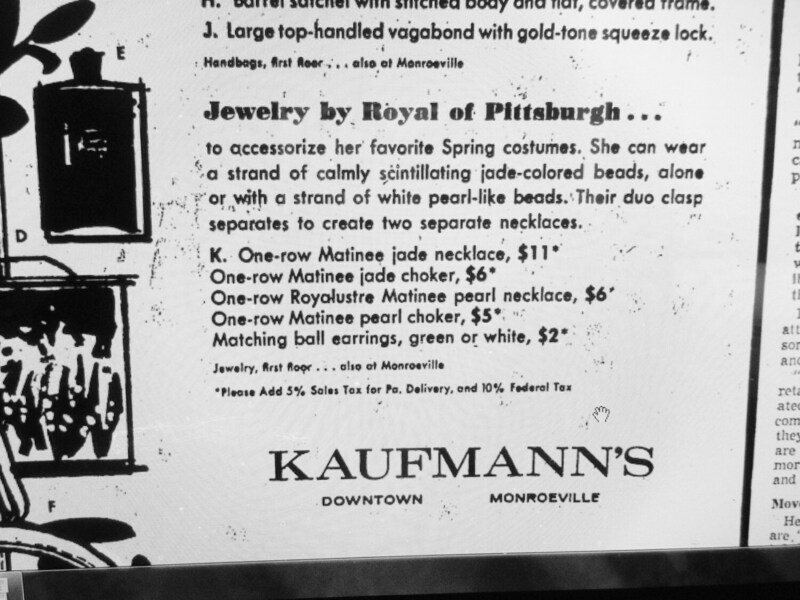 Ad from 1965 in the Pittsburgh Post Gazette is shown in last photo. 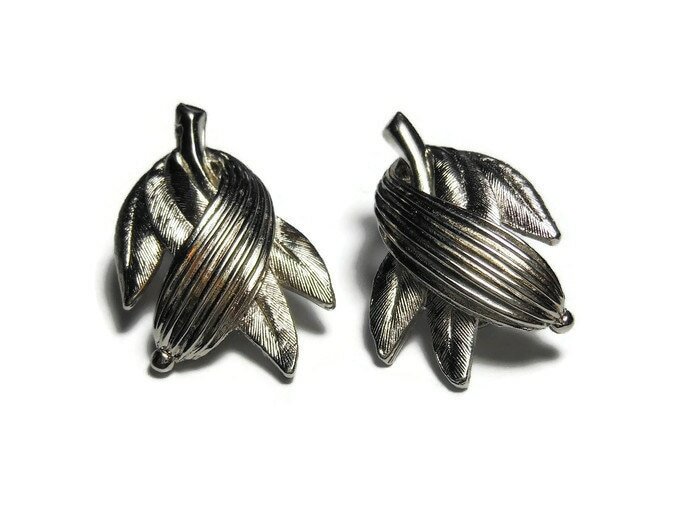 The earrings measure about 1" X 1 1/4" and are in very good condition.